An introduction to Gaelic Games in Dublin. 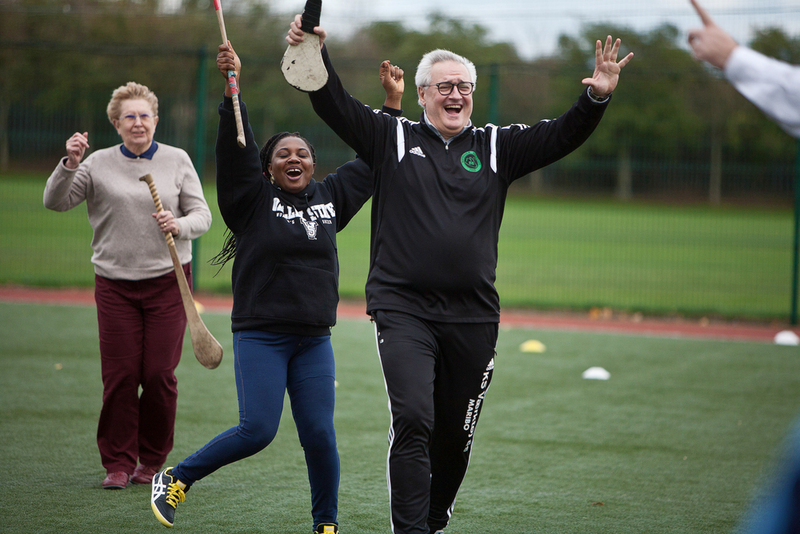 Learn how to swing a hurling stick and kick a point, while having lots of laughs along the way. Join us on a journey of discovery deep into Irish culture, where our sports and language meet. From hurling, one of the oldest field sports in the world, to Gaelic football you will experience an enthralling energy packed introduction to our National games that will literally take your breath away and leave you with memories to last a lifetime. Gaelic games are the most popular sports played in Ireland. They are uniquely Irish and are at the center of every community around the country. Clash Gaelic Games was set up in 2013 by the O’Driscoll Brothers, Neil, Cillian and Gareth. They still play for their local team and have a combined experience of over 80 years in Gaelic Games. The brothers aim to give visitors to Ireland an authentic and unrivalled experience of Irish culture and sport. At Clash you won’t merely watch our games, you’ll play them and make Irish memories to last a lifetime. Gaelic Games, hurling and Gaelic football have been played in Ireland for thousands of years. They are team sports and combine fast pace, masterful skill and unrivaled passion. Immerse yourself in Gaelic culture, history and mythology. No other aspect of Irish life offers the same insight into our ancient past. At Clash we pride ourselves in upholding our reputation as a nation of great storytellers and jokers. Irish folklore and oral tradition are rich with tales of sporting heroes and Gaelic warriors. We share some of these stories to show that it is not only the unique skills that make these games so important, but the rich history and tradition that accompany them.